4 Bedroom Detached House To Rent in Tunbridge Wells for £1,650 per Calendar Month. A well presented three to four bedroom detached family house quietly situated in an excellent location for access to the A21, Tunbridge Wells Hospital, Skinners Kent Academy, and walking distance to St James primary school and the town centre. To the front of the house, there is a lawn and mature shrubs, an attached single garage and driveway. The house comprises: entrance porch through to hallway with a cherry wood floor and internal door to the garage, downstairs cloakroom with a slate floor, a study or fourth bedroom with built in cupboards, a very light and spacious open plan living room and a dining area with french doors to the garden. There is a separate fitted kitchen with an electric hob, grill, oven, dishwasher, washing machine and fridge freezer, a tiled floor and a door to the attractive rear garden, which is hedged and fenced and mainly laid to lawn with a good sized patio area and large shed. 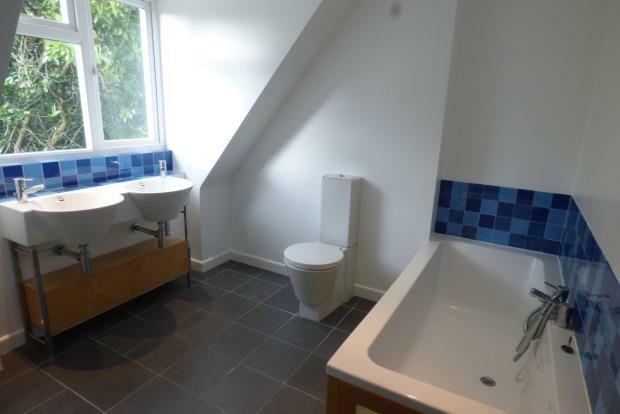 Upstairs there is a large master bedroom with built in wardrobe and two further double bedrooms (one with built in wardrobe), a modern bathroom with a slate floor, separate bath and shower cubicle. Gas central heating. Available unfurnished occupation from January.